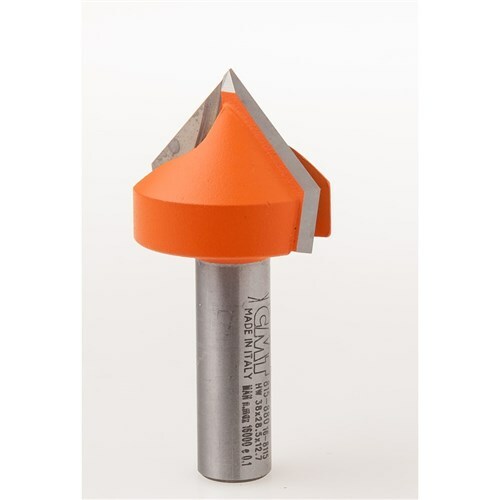 Another router bit from CMT that has a wide variety of uses, from perfect cuts in panels, drawer fronts or even plasterboard panels, chamfer edges or engrave beautiful lettering. These bits are ideal for routing signs, or almost any project that is suitable for accurate template routing. Like all CMT bits, they are made of super strength Fatigue Proof® steel with carbide-tipped cutting edges and are coated with our trademark orange PTFE non-stick coating.